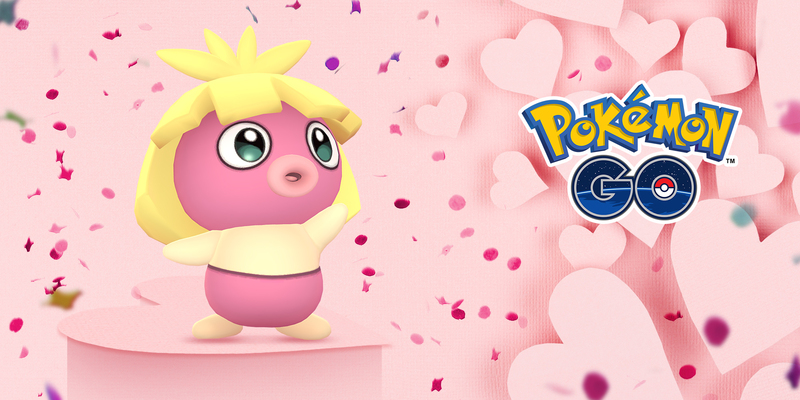 Pokémon Go has announced its Valentines Day Celebration event and it’ll feature a whole variety of Pink Pokémon! New raid bosses, a shiny, and more alongside double Candy and 6 hour lures. You may even find a Spinda featuring a heart shaped pattern! Pink Pokémon such as Clefairy, Hoppip, and Luvdisc will appear more frequently in the wild! Certain pink Pokémon will hatch more frequently from 7 km Eggs! Pink Pokémon such as Chansey and Porygon will appear more frequently in Raid Battles! Lure Modules will last six hours for the duration of the event. Let’s spread the love and enjoy special Valentine’s Day Celebration bonuses! Stay safe, and happy exploring!